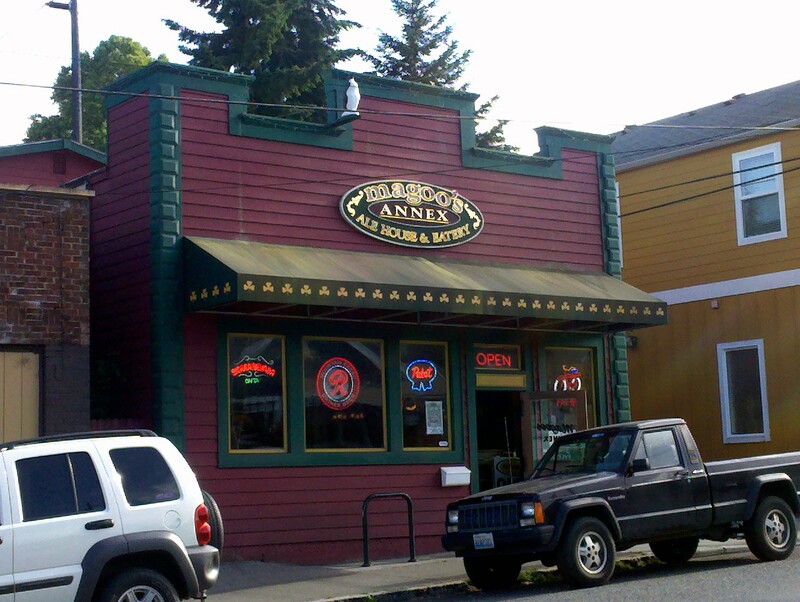 Part two of my Best of Tacoma series starts off at a little hole in the wall just about five minutes up the road from the Parkway Tavern: Magoo’s Annex Ale House & Eatery. Located in one of the oldest neighborhoods in Tacoma and operating almost continuously since 1943, Magoo’s offers great microbrews, a nice pool table, and the best jukebox in the state of Washington! The Jam, Ramones’s, The Clash, -X-, and other alternative and punk rock legends are queued up to be played while you toss back some fine microbrews from around the country. Eclectic decor on the inside this is another great pub that gives a nod to Tacoma’s history and the microbrew beer culture. A bit more rough around the edges than the aforementioned pub in my last posting, but Magoo’s has an old school rustic charm about it that makes it laid back and cool, and the beer is really cold and fresh. Changing the pace a bit I would like to take you down town to a little Irish pub I fell in love with the moment a crossed the threshold: Paddy Coyne’s Irish Pub on Pacific Ave. Paddy Coyne’s is not only one of my favorite Tacoma pubs, but it is one of my favorite pubs period. Warm and inviting dark wood-paneled walls and hand carved antique bar really gives me the feeling of being in a pub in dear old Ireland. The best Irish and English beer on tap a long with a couple of guest brews are always fresh. The best Irish and Scottish whiskeys line the back of the bar and are carefully guarded by the old souls carved into the back bar. If you are into rustic Irish pub food (Lord knows I am) then look no further. Traditional fish and chips, banger’s and mash, ploughman’s lunch, shepherd’s pie, and other UK favorites are done up right and served up with fresh Irish soda bread. It’s a great place to visit on a cold, rainy day. The fireplace in the middle of the restaurant will always be on. 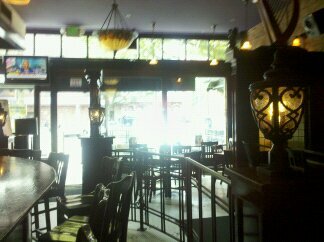 Paddy Coyne’s has two other locations: Seattle and Bellevue. So I know many of you are thinking about some great bars and pubs that were not mentioned. Let’s be honest, Tacoma is a potpourri of great bars, taverns and pubs. Talk to the locals, they know best where all of the hotspots are.